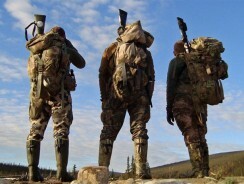 Anyone who’s serious about hunting should know the importance of having quality gear. Going out into the elements with subpar gear is like getting caught with your pants down. 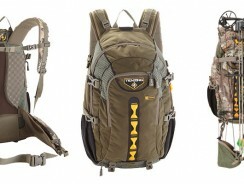 If you’re really serious about the outdoors then investing in quality gear, especially your backpack, is a necessity. 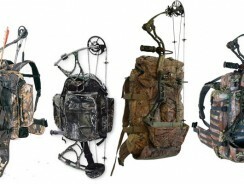 This page will help you identify what makes up the best hunting backpacks and how to choose the right one for yourself. 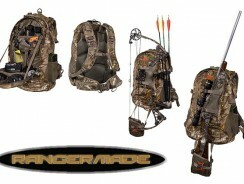 You’ll also be able to read our detailed hunting backpack reviews and be able to spot the proper qualities to look for. • 1470 cu.in. expands to 3515 cu.in. • 3300 cu.in. expandable to 4500 cu.in. 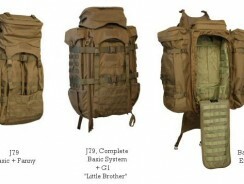 You may also want to have a look at our best tactical backpacks page. 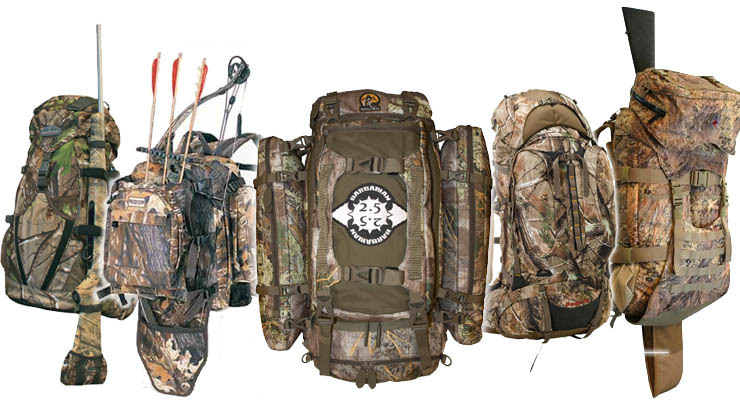 The best hunting backpack for yourself will always depend on what type of activities you’ll be doing, and on the season and terrain around you. You’ll always have to select a bag that allows for enough space for what you’re planning to do and equipment you’ll need to bring. You may also need more or less space depending how long your excursion is. This is why I like to have multiple bags that fit different situations. Having a bunch of different backpacks lets me choose the optimal one for each situation and I recommend the investment. 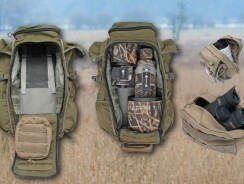 Having specific bags for specific terrains and elements goes a long way. 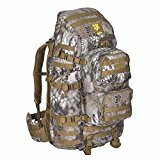 However there are some universal signs that all quality backpacks have that you want to look for when looking for your own. Paying attention to the details is important when looking for a quality bag. Personally the first thing I start looking at is the stuff the bag is made off. Make sure you choose a material strong enough for your needs; most waterproof bags are made from polyester or nylon covered in polyurethane. 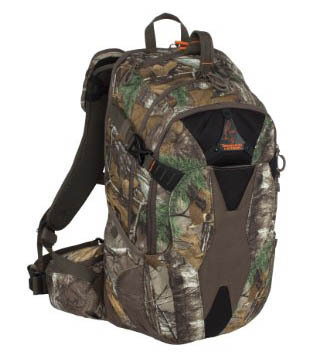 Waterproof or water resistant material is the bare minimum when looking for a quality bag. 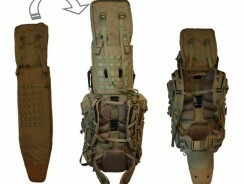 Another plus for a backpack’s fabric is its “quietness”. Some fabrics are louder than others when they’re touched or brushed against objects. And this is where some companies (not many) put lots of research into: to find materials that won’t pop a sound when you’re stealthily drawing near your target, or when you’re reaching for your weapon. In that respect, most good fabrics would do okay in warm weather. But the big test is in cold weather, when the fabrics get hard and stiff, and some may even crack or break. That’s when one feels the need for specialized gear. With the advent of new materials, a new attribute was added: breathable. These are five attributes that aren’t always found in the same pack at their highest degree. 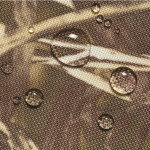 As a matter of fact, a fabric that’s fully waterproof and breathable at the same time doesn’t really exist. It will be waterproof up to a point, after which it will give way. So, these attributes are present in varying degrees, with some sacrificed to the detriment of others. The good news is, materials have improved a lot and the offer is diverse. It just takes some due diligence to find the one that best fits your needs. Generally the more you spend on a bag the better the material is. You want to buy a bag that is durable and made to last a long time. It’s better to wait until you can afford to invest in a good bag than to buy a cheap one. More often than not, you’ll still end up buying the more expensive one. 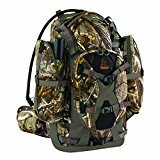 If you browse hunting backpack reviews you’ll notice all good ones require a decent investment. Another factor to consider is the quantity you’ll be carrying. 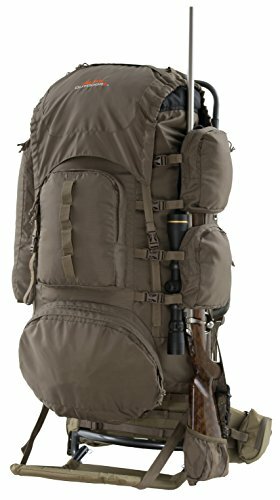 If you hunt big game, you will need something larger than a daypack to stuff the meat in. 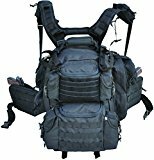 This can be one of a few options: either a large backpack upfront, or an expandable one (like the Eberlestock J34), or a separate bag like a duffel bag for that. 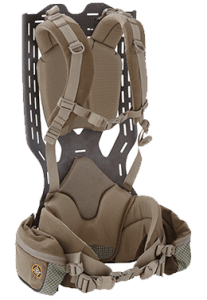 If you’re after a daypack but still are going to do some good amount of carrying with it, you may want to get one with a frame for better weight distribution. Frames can be internal or external, the internal one being found mostly in the small to medium packs. With a framed backpack, the load is transmitted to your hips. With a frameless one, it will pull on your shoulders. Ergonomics and weight distribution go hand in hand and are an important factor. One backpack can make the same load seem lighter, even significantly so, than another. A good internal frame backpack will allow for the frame stays to be taken out and shaped to fit the carrier’s back contour. The stays are usually made of aluminum, with the fancy ones being made of aluminum-carbon and other alloys. 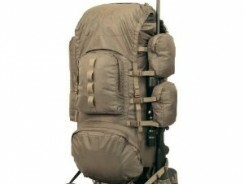 An external frame is usually found in large backpacks where serious loads are to be hauled. The external frame offers even weight distribution. 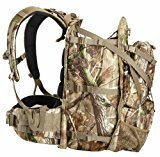 Several manufacturers produce general-purpose frames that can be used with different-sized bags to carry all sorts of loads. 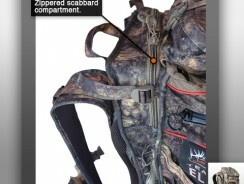 It’s the “one frame fits all bags” system, and many hunters have opted for it. The main role of a good frame is to balance the stuff you are carrying in your bag. A good frame will help distribute the weight across your bag evenly. You want to put the heaviest items in the middle of your bag so that the weight falls on your hips. If you’re on a rough terrain you want to balance the heavier items on your lower back in order to increase your center of gravity. The single biggest mistake people make is not wearing and using their backpack properly. Take the time to properly pack it and make sure it’s resting on your body in a comfortable way that distributes weight evenly. 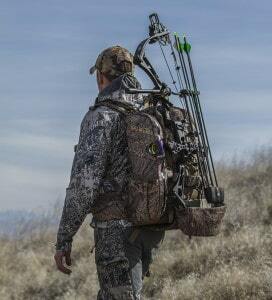 If you’re going to be moving around with a weapon, either a bow or rifle for example, then it’s important to have a bag that can properly transport your weapon for you. Dragging around your weapon in a clumsy way is unsafe and causes you to react slowly as you’ll have trouble getting it out. 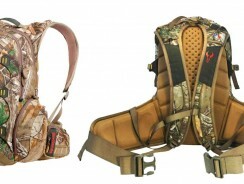 A backpack with a weapon-carrying system allows you to have your hands free while you walk, crawl or climb. Another good reason to have multiple bags that suit the needs of each weapon you have. 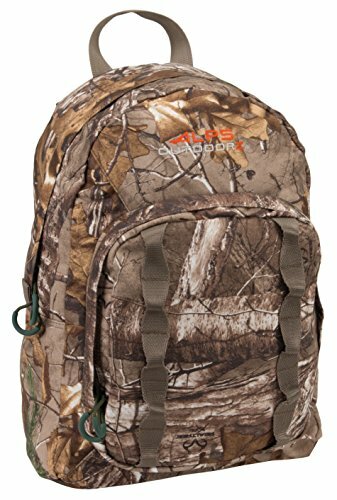 A bag like the Alps Outdoorz Trail Blazer is good for securely holding your bow or gun. It has a pull-down pocket which allows you to choose its position and how tightly it’s secured. A good weapon holster will allow you to remove your tool quickly while still having it strongly secured while traveling. Another option is to invest in scabbards or other holding devices for your weapons. A separate item to carry your weapon can be cumbersome but will allow for a more accurate and comfortable fit for your weapon. A vest-scabbard that you can wear on your body and hold your knife and gun is convenient for not getting in the way of the rest of your gear. 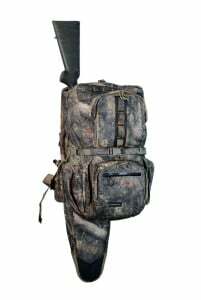 Or you could opt for a bag like the Eberlestock J34 which features a back–scabbard that allows you to quickly draw your rifle or bow. Choosing a backpack that’s appropriate for your size is just as important as buying a quality one. Buying a bag that doesn’t fit can cause unnecessary issues to arise while you’re out in the elements. As said above, it’s always worth investing in multiple bags in order to be prepared for each specific situation. There is a lot that goes in to a selecting a quality bag, but the research & time spent looking is well worth it. Read the product specs – the more serious the company, the better description and the more details they’ll give. And also read reviews from other users. This can often make or break your decision for a certain bag. A good bag you can trust will be your best friend when you’re out in the harsh elements and you’re carrying everything that’s keeping you alive in it.